Are you looking for the best and most helpful contact manager apps for your iPhone, iPad and other iOS devices? 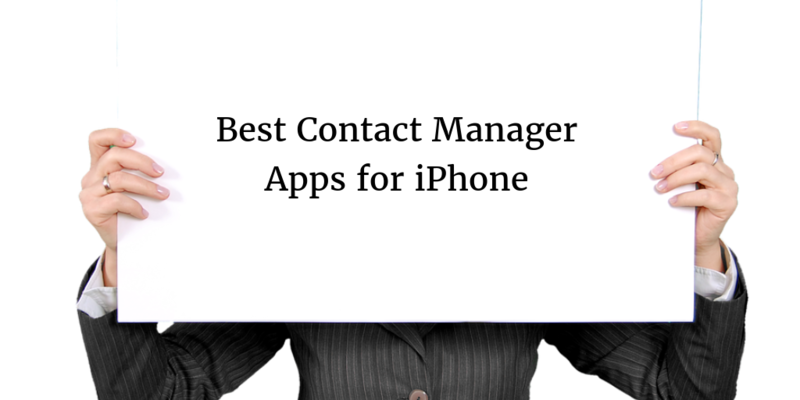 If yes, you are the right place, here you can see 15 best and most helpful contact manager apps for iPhone, iPad and other iOS. With the help of these best and most helpful contact manager apps, you can improve the interface and contacts, then you can explore various applications, you can easily import & export your all contacts and, you can also easily manage your personal and business contacts in an alluring and effective style. 1. 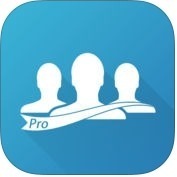 Simpler Pro ( iPhone + iPad ) :- Simpler Pro is one of the best and most helpful contact manager apps for iPhone and iPad. With the help of Simpler Pro app, you can merge all duplicate contacts with one tap, you can easily save your own contact groups and instantly send group text & email, you can share your groups with colleagues, friends and family, you can get backup your contacts at one tap, you can quickly find the contacts you need, you can remove contact without name, phone or email, you can keep your contacts safe in the cloud and, you can call with beautiful dialer and add new contacts. 2. 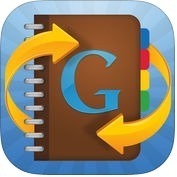 Synctastic for Google ( iPhone + iPad ) :- With the help of Synctastic for Google, you can organize your gmail contacts into groups like friends, family or coworkers on your iPhone and iPad, you can backup your iPhone contacts to gmail, you can sync iCloud or exchange contacts with gmail, you can choose a manual sync to sync selected contacts only, you can sync specific contacts only by using filters, you can apply the new contact filter to ignore contacts without an email address or phone number and, you can also syncs contact photos, custom labels and custom fields. 3. Smart Merge Pro ( iPhone + iPad ) :- Smart Merge Pro is one of the best and advanced contact manager apps for iPhone and iPad. With the help of Smart Merge Pro app, you can find & merge duplicate contacts, you can remove contacts without name or phone number, you can backup your contact with one tap, you can quickly find the contacts you need, you can merge all duplicate contacts with one tap, you can find and merge contacts with duplicate phone or email, you can cleanup contacts without phone or email and, you can also quickly export your backups to Dropbox, Google Drive or Email. 4. 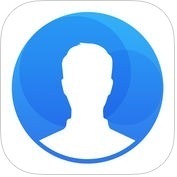 My Contacts Backup Pro ( iPhone + iPad ) :- If you want to the easiest app to backup and restore your contacts from your iPhone and iPad, you can install My Contacts Backup Pro app on your iPhone and iPad. With the help of My Contacts app, you can backup all your contacts with one tap, you can easily transfer contacts between iOS devices using an email client, you can edit contacts like-update, delete or add, using Wi-Fi manager option through browser on your computer, you can remove identical or duplicate contacts, you can export your contacts in the form of multiple vCard files, you can set Reminder to backup weekly or monthly and, you can also delete all contacts in Address Book. 5. 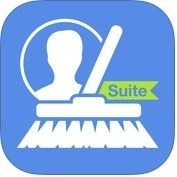 CleanUp Suite – Clean Up Address Book Duplicates ( iPhone + iPad ) :- Are you looking for one the most powerful and helpful contact manager apps for your iPhone or iPad? If yes, you can use CleanUp Suite app on your iPhone and iPad. With the help of CleanUp Suite app, you can keep your address book clean and lean, you can merge and detect duplicates, before scanning your contacts, you can configure the merge level, you can select and remove contacts in bulk and, you can also backup and restore contacts. 6. 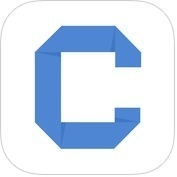 Connect - Contact Manager ( iPhone ) :- Do you want to manage your personal and professional contacts effortlessly on your iPhone? If yes, you can install Connect-Contact Manager app on your iPhone. With the help of Connect app, you can organize the contacts of your address book in groups or you can easily organize your contacts into custom groups in seconds, you can add background colors to your groups to make your contact manager unique, you can add new contacts in seconds, you can send group SMS and group emails to all contacts of a group or only some of them and, you can also share your contacts by SMS or email. 7. 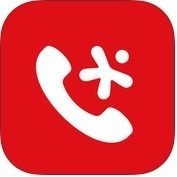 ContactBox - Shared Contact Lists ( iPhone ) :- ContactBox is a simple but powerful and effective contact manager app for iPhone. With the help of ContactBox app, you can organize contacts into sharable lists, you can create as several contact lists as you want, you can share contact lists with anyone and, you can also call, text or email from Contact Box. 8. 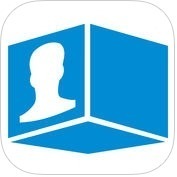 FullContact | Contact Manager ( iPhone + iPad ) :- With the help of FullContact or Contact Manager app, you can backup your address book, you can merge duplicate contacts, you can easily organize contacts, you can add personal insights to your address book, you can add photos, social profiles, and recent social media posts to your contacts, you can sync up to 5 address books and keep your contacts in sync across multiple platforms and, you can also scan business cards. 9. 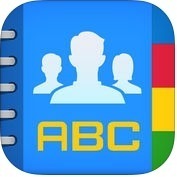 ABC Groups ( iPhone + iPad ) :- If you want to access & edit your contact and groups easily on your iPhone and iPad, you can use ABC Groups app on your iPhone and iPad. With the help of ABC Groups app, you can create contact groups containing any type of contact including exchange server and Facebook contacts, you can add and remove contacts or groups from a particular group or contact, you can send messages to groups through iMessage and SMS, you can view your recently created and modified contacts, you can sort your contacts by company name, you can share one or more contacts via text message, email and other various other services, you can create a backup of any contact account and restore your backup to any contact account and, you can also sync your iPhone or iPad contact changes to gmail. 10. 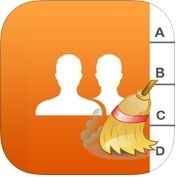 Cleaner Pro ( iPhone + iPad ) :- Cleaner Pro is one of the best, powerful and user-friendly contact manager apps for iPhone and iPad. 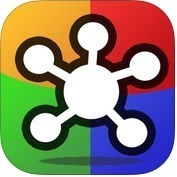 With the help of Cleaner Pro app, you can find and merge duplicate contacts, you can remove contacts without name or phone number, you can backup your with one tap, you can quickly export your backup to Dropbox, Google Drive or email, you can filter contacts by company and job title and, you can also filter contacts by upcoming birthday and creation date. 11. 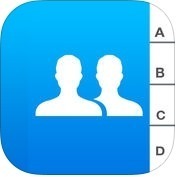 A2Z Contacts ( iPhone + iPad ) :- Do you want to save your time by sending text messages and emails to groups? If yes, you can use A2Z Contacts app on your iPhone and iPad. With the help of A2Z Contacts app, you can create contact groups containing any type of contact including exchange server and Facebook contacts, you can add and remove contacts or groups from a particular group or contact, you can send messages to groups through iMessage and SMS, you can create a list of favorites allowing you to quickly call, message or email those contacts, you can attach photos and documents, including from Dropbox, you can sort your contacts by company name, you can view your most frequently viewed contacts, you can share one or more contacts through text message, email or various other services, you can restore your backup to any contact account, you can clone a contact from the contact card screen including all contact fields and groups and, it also linked contacts are automatically merged into a single contact card. 12. Groups ( iPhone ) :- It is one of the best and easiest app for your iPhone contacts. It is very effective and advance features app for iPhone users. With the help of Groups app, you can manage your contacts into friends and family, you can easily create and manage any groups of contacts, you can translate into 15 languages, you can works with native iPhone groups, you can sort contacts by the time they were added, you can merge duplicate contacts, you can personalize your texts with first name, last name etc, you can share links, photos, videos to your friends or family via email or SMS and, you can also set reminders to get in touch with people. 13. Smart Merge ( iPhone + iPad ) :- With the help of Smart Merge app, you can merge all duplicate contacts with one tap, you can quickly find the contacts you need, you can remove contacts without name or phone number, you can find and merge contacts with similar names, you can cleanup contacts without phone or email, you can backup your contacts with a finger tap, you can easily export your backups to Dropbox, GoogleDrive or Email and, you can also filter contacts by upcoming birthday and creation date. 14. 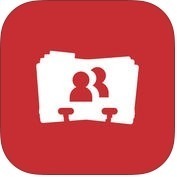 Contact Mover & Account Sync ( iPhone + iPad ) :- If you want to merge your corporate Exchange contacts into your personal local address book or vice versa, you can install Contact Mover & Account Sync app on your iPhone and iPad. Contact Mover & Account Sync app has lots of amazing and powerful features such as sync and move options, choose to sync selected groups only, automatically add synced contacts to a specified group, confirm changes, sync or move history, sync or moves all fiels like-nicknames, email addresses, phone numbers, company name, job titles, events, notes etc, sync or moves contact photos and, much more. 15. 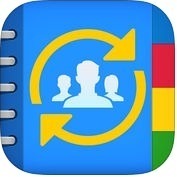 InTouchApp - Contacts Manager ( iPhone ) :- It is one of the most popular and most helpful contact manager apps for iPhone. InTouchApp has several fantastic and unique features such as build and maintain your professional network in your iPhone's contact-book and find the right person at the right time, easily add context and emoji to your contacts and find them in search, it works with WhatsApp, Telegram and other chat apps, privately and securely based on your sharing settings, search the way you think, clean and organised contact book, smart backup, transfer between devices, duplicate contacts are automatically merged, advance contact sorting options and, much more.